Lisa Fischer, Chief Financial Officer at Premier Housing Management LLC. As CFO, she oversees Corporate Accounting, Payroll, Accounts Payable, Property Accounting, as well as Financial Reporting Services for Premier Housing Management. Her background includes over fifteen years of all aspects of Property Management and Construction Accounting. Prior to multi-family accounting, Lisa worked in Consumer Lending and Collateral Management. Ms. Fischer holds a Bachelor of Science in Finance from St. Cloud State University with an emphasis in Real Estate and Insurance. Stacey Busta is the Vice President of Human Resources at Premier Housing Management. 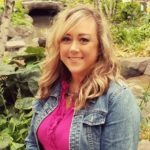 With over 15 years of human resources experience Stacey brings a wealth of knowledge to the company in the areas of performance management, benefits administration, recruiting and retaining employees. Her past positions in both for-profit and non-profit companies, as well as small and large-size companies gives her a unique perspective. Stacey earned a Bachelor’s Degree in Management, with an emphasis in Human Resource Management, from Minnesota State University, Mankato. As Director of Accounting, Linda Pope oversees Property Accounting &, Accounts Payable, Linda also is the administrator & support coordinator of our property management software, Yardi, used at Premier. Her background includes over 9 years of experience in Property Management, holding positions including Director of Accounting, Assistant Controller, Software Administrator, and Accounts Payable Manager. Linda also has 20 years of accounting experience in the areas of physical therapy manufacturing & physical therapy treatment. In addition, she has worked a number of years in the non-profit industry involving physical therapy, shelter management & with varies clubs & associations. Linda holds a Bachelor of Business Administration from the University of WI Oshkosh, with an emphasis in Accounting. She has also held certifications as a CPA, and in Production & Inventory Management. Kayla Gibbons is the Director of Property Management at Premier Housing Management. Her background includes 15 years of experience in all aspects of Affordable Property Management, including Leasing, Supportive Services, Compliance, and Management. Kayla holds a Bachelor’s Degree from the University of Minnesota, as well as the AHM, COS, and TCCS industry certifications. Shannon Jones, Director of Compliance at Premier Housing Management LLC. As Director of Compliance, she oversees all compliance for Premier Housing Management. Her background includes over 20 years of Property Management and Housing Compliance. Her compliance experience includes Tax Credit, Section 8, Section 236, Section 202/8, AHIF, LHIF, ARIF, EDHC, HOME, LTH, MARIF, PARIF, MHOP, and conventional properties. Shannon specializes in applying her expertise and compliance knowledge to ensure all Premier Housing Management properties are in compliance with their designated program requirements. 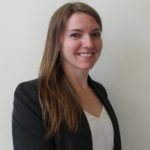 Her unique ability to truly understand the workings of the compliance world and her own hands-on experience in compliance auditing has contributed to her success. Shannon holds the following accreditation’s; COM42, AHM, and TCCS.